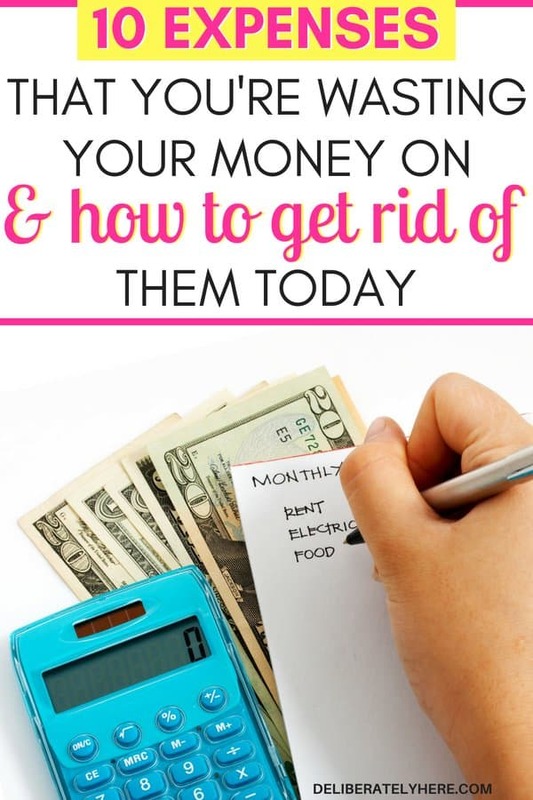 Have you ever stopped to think that maybe the reason why you are struggling to save money isn’t that you’re not making enough, but rather that you’re wasting the money that you do have on things that you really don’t need? 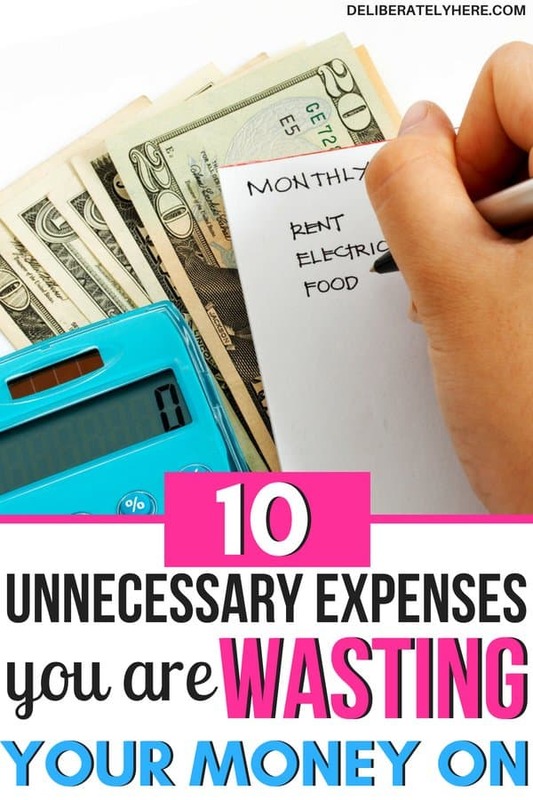 Here are 10 expenses to get rid of today. 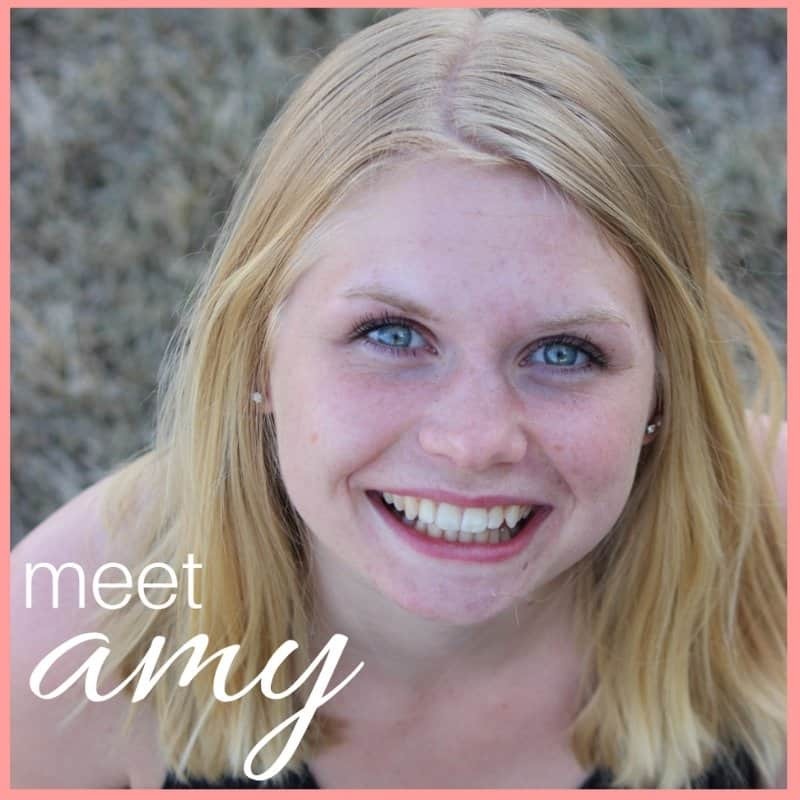 Are you serious about your finances and ready to cut some unnecessary expenses out of your life? If you are, then let’s get to it – if you’re not sure you’re ready for this yet, reevaluate your spending, create a budget, and decide from there. The average cost of a haircut for women is $43. The average cost of a haircut for men is $28. If you and your husband get your hair cut at the hairdresser that is an average of $71 per cut, nevermind if you bring your kids to get their hair cut, too. Now, if you’re going to get your hair cut several times a year you will be upwards of $300 a year spent just on your hair. This one expense can easily be cut out of your life simply by investing in a pair of good scissors and a hair buzzer if necessary. I bought a hair buzzer to use on my husband’s hair and a pair of scissors and after a couple trial runs I can now confidently cut both my husband’s and my hair and save us an average of $71 each time I cut our hair! It’s pretty amazing when you look at it that way, isn’t it? If you’re stretched for money one expense you certainly shouldn’t have is car payments. Car payments can be so easily avoided, it’s almost ridiculous to think about. If you live in a city you may even be able to get away with having no car at all and just using public transit (no more car payments, car insurance, or gas expenses!). But, if you aren’t able to rely on public transit and need a car, buy used. Don’t buy a car that you can’t afford – even if you can get a loan and slowly pay it off. 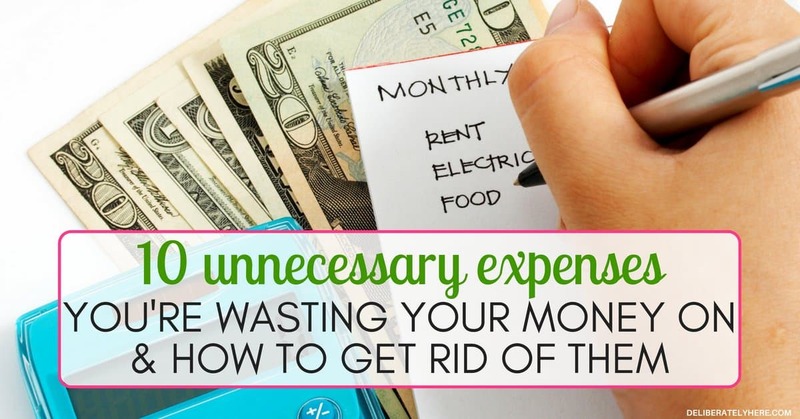 It’s just one more monthly expense to add to the rest, and it’s an expense that can be avoided. One thing my husband and I have never had is car payments – we have always bought used cars and been able to pay cash for them. We just can’t wrap our minds around having to make payments on a car. Although I will admit having the warranty that comes with buying a vehicle new is nice – for us, it just isn’t worth it. 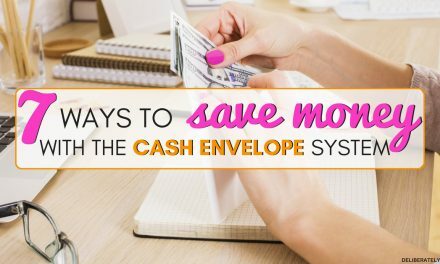 If you’re drowning in your monthly bills, car payments are one bill that you can confidently get rid of simply by downgrading and buying a vehicle with cash. Canceling gym memberships and purchasing a couple weights and workout items to workout at home will take away yet another unnecessary monthly expense. While working out and staying active is GREAT for you and I believe everyone should do some form of physical activity, I don’t believe that it is something you need to spend tons of money on. I believe that you could really save money by canceling your gym membership and working out from home. Maybe you like to workout at the gym because you need the accountability of it – if that’s you, grab a couple friends to workout with and become each other’s accountability partners. All you need to work out from home are a couple weights and a pair of good running shoes, and any other optional items you want (workout balls, a mat, a jump rope). I’ve said it before and I’ll say it again: It won’t be the end of the world if you cancel your cable! The average cable bill is $99. YIKES. Are you paying just under a hundred dollars each month for your cable? If you are, it’s time to cut the cord. You might not want to hear it, but if you’re looking for ways to save money, canceling your cable is one of the most efficient ways to do it. By simply canceling your cable you will be saving an average of $99 a month AND promoting a healthier lifestyle. Rather than sitting in front of the TV for no apparent reason, you and your family will be encouraged to go out and do something active instead. If the thought of canceling your cable and having nothing to watch on TV you could always look into Netflix or Crave TV. They are much cheaper options that allow you to watch a wide variety of different TV shows and movies. As great and handy as paper towels and paper napkins are, unfortunately, they really are a waste of money. Since they are only good for one use the cost of them can add up surprisingly fast, depending on how often you use them. But, it is always handy to have napkins and paper towels at the ready to quickly wipe up messes or wipe off dirty hands. So instead of wasting money on one-time-use paper products, you could purchase cloth napkins instead. It might seem like a lot of work to use cloth napkins with the extra laundry you will have to do, but in reality they are small enough that you can throw them in with a load of towels and have them washed and ready without doing an extra load of laundry (of course, this will depend on how many you use). Are you paying for a cellphone AND a landline? If you have a cell phone do you really need to be spending money on a home phone? I get it, the thought of having a landline is really nice. But, is it something you need? If you have a cell phone plan that includes unlimited calling, is a landline necessary? I understand that having a home phone will be necessary for some people that do a lot of faxing – but if that’s not you, ask yourself if it’s really something that you need. Okay, you might be getting tired of me throwing all these facts at you – but I’m going to throw another one at you anyway. A landline costs an average of $20 – $25 a month. The average cell phone bill is $50 – $60 a month. Obviously, a cell phone is much more expensive than a landline. If you can go without a cell phone, than having just a landline is certainly much cheaper, but if you can’t go without a cell phone, then even cutting your landline off will save you a bit of money. I’m not suggesting that you live a bland life with no excitement or entertainment, but I am suggesting that you don’t need to spend $100+ a month on entertainment. There are SO many things that you can do to fill your days up with adventure and entertainment that won’t break the bank. 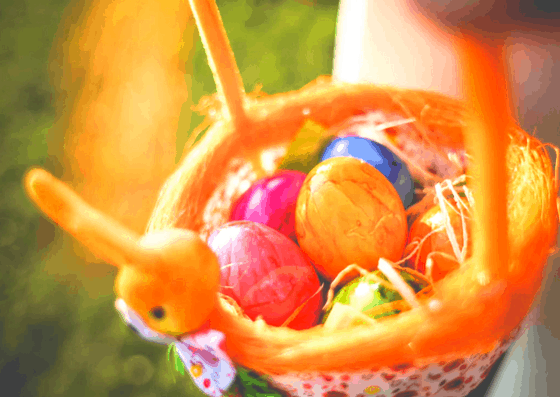 Finding free local things to do instead of going out for a dinner and a movie several times a month will end up saving you a surprising amount of money over time. Yup, I said it. Stop wasting your money on junk food. When I say junk food I’m not just talking about candy and chips, I also mean cheap meals like TV dinners and the such. If you take time to make your own meals and cut candy and chips out of your diet, you’ll save money and be MUCH healthier. Have you ever wondered why stores always seem to have the tastiest, most tempting junk food items right by the till? It’s so that in a moment of weakness while waiting in line you are tempted to grab a quick snack. And after buying it you realize that you really didn’t need it. Cutting junk food out of your diet will help you save money in situations like this because anytime you find yourself being tempted you can remind yourself that you are not eating junk food. Firmly tell yourself no and have the self-control to follow through. While you won’t be able to completely cut the cost of utilities, there are ways that you can lower the costs substantially. Choose to bundle up when it’s cold out rather than turn up the heat. Open windows when it’s hot out rather than turn on the A.C. Turn off lights in every room that isn’t being used. Don’t run the dishwasher or washing machine when they’re only partially full. Make sure doors and windows are closed when it’s cold out. Rather than spending money on cleaners and laundry detergents, consider making your own homemade kind. If you do a quick search of “homemade cleaners” on the web you will be presented with a number of easy cleaner recipes that you can make at home. Or you can use my favorite go-to recipe, vinegar and water. If you aren’t too fond of the smell of vinegar you could easily add a couple drops of your favorite scent, like this lavender scent or this lemon scent. If you’re not into essential oils you can also just infuse your vinegar with some lemon zest, orange zest, or herbs to add a great smell to your natural, homemade cleaner. Transfer the infused vinegar into a spray bottle and you have a very budget-friendly cleaner ready to be used. Cutting certain expenses from your budget can be a painful yet refreshing way to lower your bills and save money each and every month. 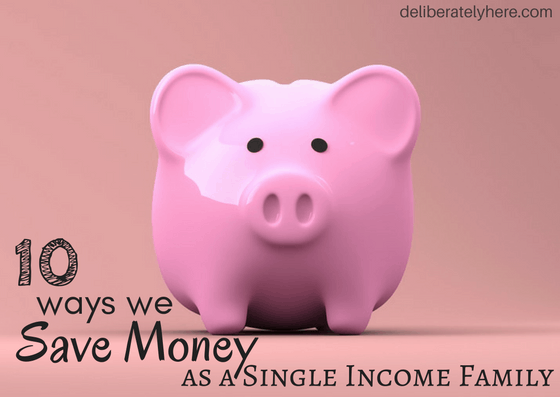 It might feel impossible to cut certain things out of your budget (like cable, for example), but after a while, you will realize how unnecessary of an expense it really was, and that life is just fine without it! 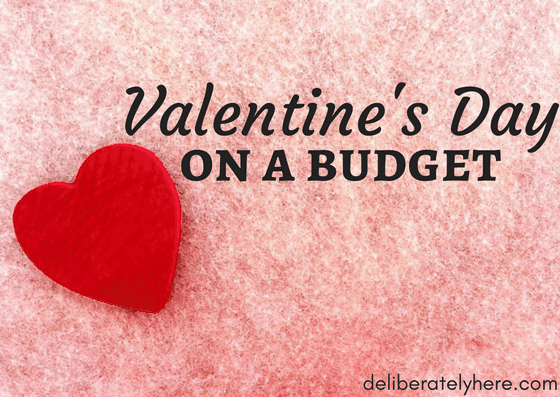 If you look at your budget what are some monthly expenses you have that are unnecessary? Could you get rid of them? Why or why not?